Paving in domestic and public space areas as part of overall landscaping should complement the overall scheme in a harmonious fashion. It’s an opportunity to enhance an area, and by using Chelmer Valley products for your landscape paving you are choosing a product with characteristics that work with designs in this way.The paved areas should work together with planting and other accents, so it is important to select the right paver when landscape paving, and work to a colour scheme that blend together naturally. Consider how the scheme, the planting and the seasons will affect the balance over time. 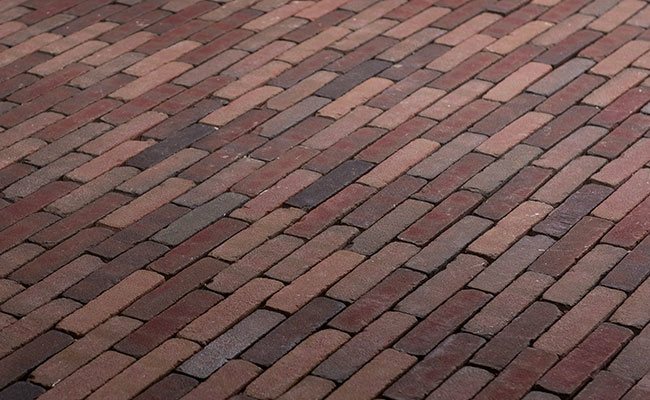 Before starting a landscape paving project consider allowing for wheelchair or pram access, drainage, steps and the qualities to match any existing brickwork. Overall, the paving should be a part of the environment it creates, not to dominate or overwhelm the area. Landscape paving is a feature of the design and completed correctly will enhance the landscape dramatically.Chelmer Valley have products that can be incorporated into all designs of landscape paving areas. All our landscape paving products are natural, fired clays, designed for long life and to be ecologically friendly and long lasting. At Chelmer Valley we offer high-quality landscape paving suitable for use within both commercial and domestic applications. The diversity of projects where our products have been successfully used range from major commercial and urban developments through to individual gardens and driveways. All of our landscape paving has been specifically included in our portfolio on our example site pages to help give you a better picture and understanding for how the landscape paving will look when featured in your project. We have showroom facilities with all of our ranges on show and will be happy to assist you in making your selection for your landscape paving project.